White dominates the whole concept in this design. With the combination of a diverse array of geometrical shapes within this space, the entire section fuses seamlessly to create a certain unique movement. 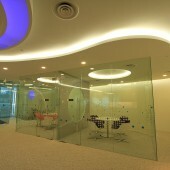 Coupled with the grand circular design of the ceiling, which dominates the ceiling, they form the core of this design. 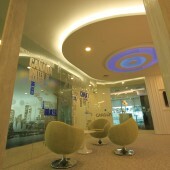 The round blue lighting, a symbolic representation of the client’s logo, enhances the company image and cleverly blending with the entire space, as if rippling outwards to signify constant growth. And through the use of different textured materials, the movement is hugely amplified. Floor carpets with irregular black and white lines, add fluidity to the large white reception counter, like a flying chariot. Research was done based on Principles of Design to organize lines, shapes, forms and colours into a given space. Designer is to create objects with elements of movement to bring life to the static space. To blend multiple elements into a given space without being obtrusive. 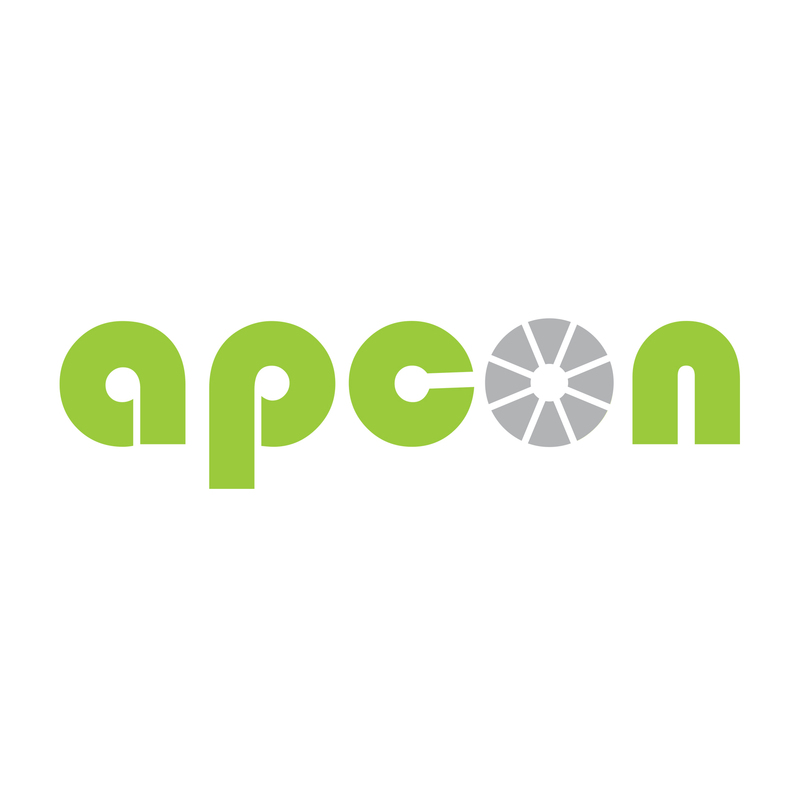 Apcon is an office specialist which is very focused on offering consultation on interior design, as well as project management services. Being attentive to details, especially customer requirements, we take special care to fuse our ideas with client’s corporate image. Not only does it help in their branding, but also lifts the corporate image to a whole new level. The accumulated years of experience in handling projects of varying scales have made us realize that it is of utmost importance to deliver what we promise, especially when it means to much to the customer who invest their time and money into office renovation. We grow with our clients, by providing “ideas that help you to excel”! Office Interior of Mundipharma Singapore Office Interiors by Priscilla Lee Pui Kee is a Nominee in Interior Space and Exhibition Design Category. · Click here to register today inorder to be able to view the profile and other works by Priscilla Lee Pui Kee when results are announced. Office Interior of Mundipharma Singapore Office Interiors by Priscilla Lee Pui Kee is Winner in Interior Space and Exhibition Design Category, 2013 - 2014. · Read the interview with designer Priscilla Lee Pui Kee for design Office Interior of Mundipharma Singapore here. · Press Members: Login or Register to request an exclusive interview with Priscilla Lee Pui Kee . · Click here to register inorder to view the profile and other works by Priscilla Lee Pui Kee . Did you like Priscilla Lee Pui Kee's Interior Design? 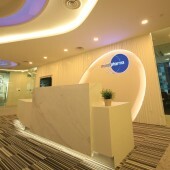 Did you like Office Interior of Mundipharma Singapore Office Interiors? Help us create a global awareness for good interior design worldwide. Show your support for Priscilla Lee Pui Kee, the creator of great interior design by gifting them a nomination ticket so that we could promote more of their great interior designs.